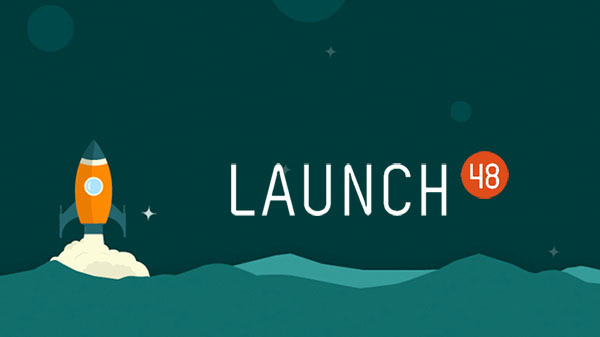 Last Thursday, Orange France announced a new product offering, the Ub-y (evoking the word ubiquity), is essentially a rebranded Beam+ from Suitable Technologies. On Friday, we caught up with Laurent Marchou, Director of Open Innovation with focus on Robotics and IoT (Internet of Things) for Orange France. While the announcement of the Beam+ is over nine months old (from the 2014 CES Show), an agreement with a major telecoms operator like Orange in a major market is quite a change in perception of the viability of the concept of remote presence. Aside from the ability to purchase a double via the Apple Store online, there have been very few major sales channels that have taken on the risk of distributing telepresence devices. But, as Laurent described, the core functionality of the Beam (and remote presence altogether) combined with the use cases they see – all are making it obvious as part of the natural evolution of communication. 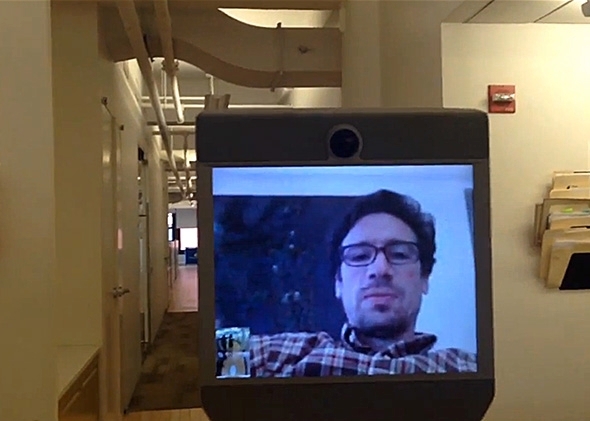 Recently, another player popped up in the telepresence robotics world. 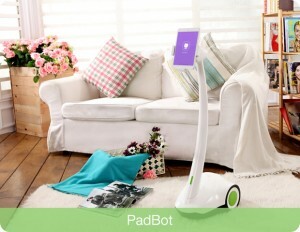 And that offering is the PadBot. 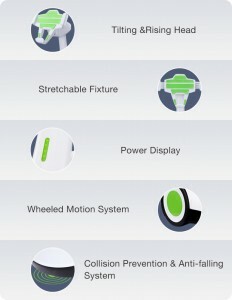 Now, in looking at the product, it has incredible similarities to various other players like vGo and double – a low-cost base and tablet headpiece. Today, Suitable Technologes and Awabot for a nice plug in a story in the FT showing the Suitable Beam assisting an engineering student at the EMLyon Business School‘s Learning Lab. Much like Henry James’ use of the Beam to allow him traveling around the world (see his TED Talk), Simon has found it possible for himself to attend his classes just like students in the past have used the vGo to attend primary school. Seth Stevenson via Beam telepresence robot. Into the inbox came the most nuanced article about telepresence robots we have seen in a while. 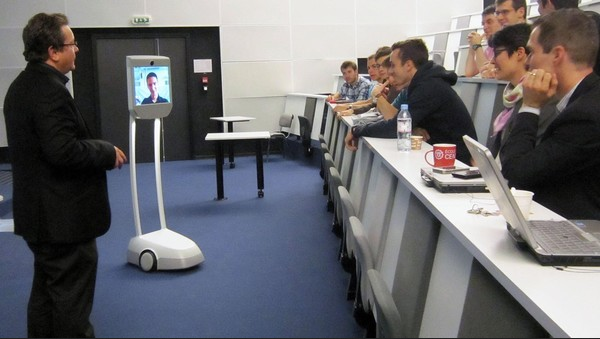 To us, the writer seemed to be listening to our conversations with customers and users of the Beam as well as people who have had incredibly strong both good and bad) reactions to the concept of the telepresence robot. Seth Stevenson from Slate offers a terrific evaluation and analysis of using a Beam and the pros and cons of the usage. We highly recommend you read both pages of the article. 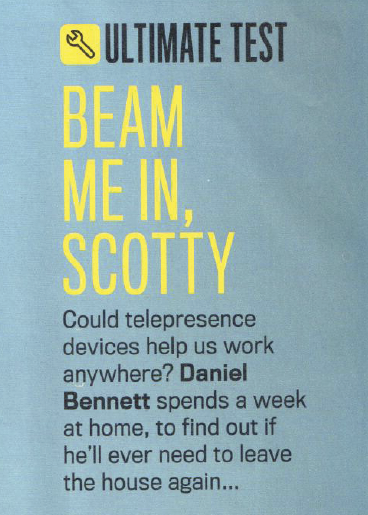 We here at Pilot Presence have an affection for people using telepresence devices and, back in March, the BBC contacted us to see if they could borrow a Beam for testing for an article from their monthly science magazine, Focus. The ensuring article, found on news stands and on their iPad app, evaluates the Beam Pro, the double, the Kubi and the Romo. We are happy to share a scanned-in version of the article for your viewing (if you do not have access to the iPad app) – simply make a request via the Contact Us page. Recently, our editors have been discussing how we are able to cover the costs of maintaining our site. In order to not impact our readership, we have chosen to go with Google Adsense to help our readers. We are going to test this for a short period and if you, our readers, find the ads to be too distracting or not beneficial, please send us an email. We are reachable via the Contact Us page and would appreciate any feedback to help us understand how we can improve our coverage and (hopefully) generate revenue.